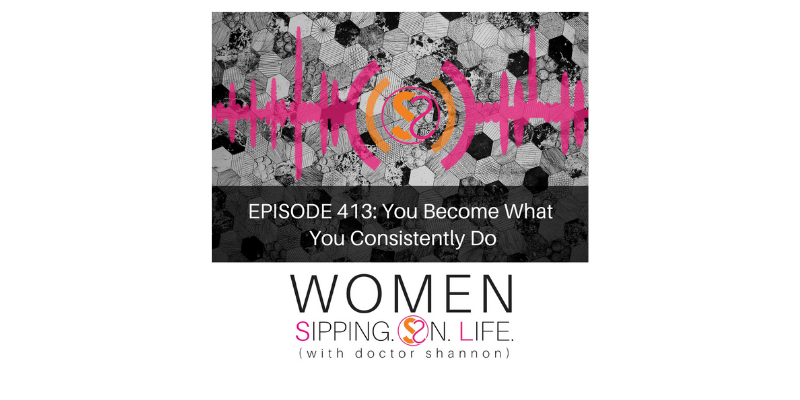 Today I show you a way to identify and clarify your consistencies, so you can become consistent at being YOU, and create the desires of your heart. How consistent are YOU at being YOU? Is there something in your life that you’d like to change? What would you like to BECOME today? It’s about being. It’s about coming into being. How we do this is by consistently being who we are, and becoming who we desire to become. How consistent are you with anything in your life? If you ever catch yourself saying, “I know I should be, but…” then perhaps your SHOULD is getting in the way. And most importantly, if you’re doing this, HOW’S THAT WORKING FOR YOU? How consistent are you with doing what you desire to do? If you desire to do it, then do it. Let’s focus on creating SOLUTIONS. What would you be willing to commit to doing every day starting now? Step One: Take an inventory of what you’re consistently doing right now. Look at it. Are you progressing? Step Two: Is it WORKING for you? If not, then it’s time for a new commitment…new action step…new declaration of consistency. Be consistent with what you desire, because whatever you do consistently, you’ll become. What do you desire to become? Please take time to ask yourself (and answer) these questions today. Remember, your life is the answer to the questions you’re asking.